Social entrepreneurship can be a solution or model of community empowerment, especially women, in the handicraft industry. The handicraft industry was chosen because it was indicated in demand by the Bogor community and potentially contributed to the absorption of Bogor manpower and investment. 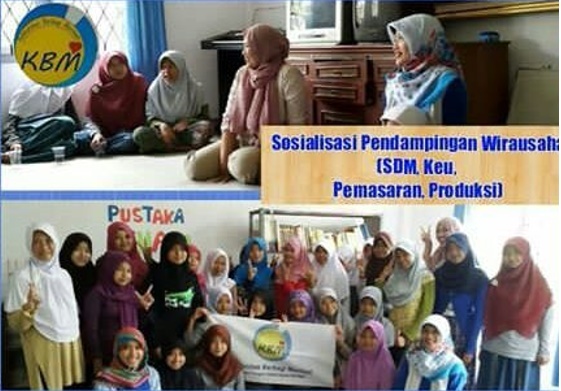 Based on this, community service activities are conducted on two target communities / partners, consisting of Children of Putri Bunda Orphanage, Dramaga and Mothers of PKK Situ Ilir Village, Cibungbulang District with the aim of forming Social entrepreneurship as a model of women empowerment through making the accessories based on patchwor. The activity is done through several stages, which begins with socialization, held the training, after the entrepreneur walk, conducted assistance. The result of this community service activity is the formation of entrepreneur or business to make accessories made from woven waste patchwork. Social entrepreneurship can be a solution to the improvement of the economy through community empowerment, especially women.